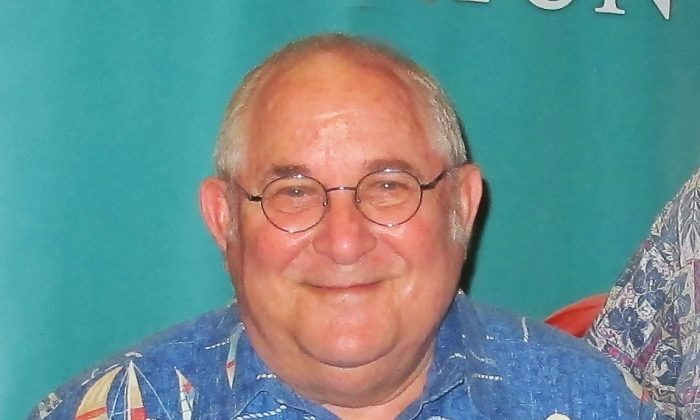 HONOLULU—Jay M. Fidell, president of ThinkTech Hawaii, Inc., attended Shen Yun Performing Arts for the third time at Blaisdell Concert Hall on May 8. ThinkTech Hawaii is a non-profit corporation that raises public awareness about the importance of tech, energy, diversification, and globalism to the diversification of Hawaii’s economy and future. 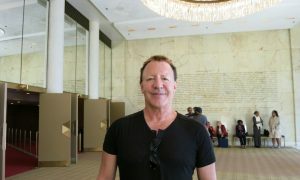 After attending Shen Yun Performing Arts, Mr. Fidell said he always appreciates learning about China’s rich culture through Shen Yun. 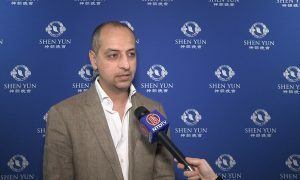 Based in New York, Shen Yun was founded in 2006 with a mission to revive the 5,000 years of true, divinely inspired Chinese culture through dazzling music and dance, according to the company website. A Shen Yun Performance is focused around classical Chinese dance, a traditional art form that was refined over thousands of years. Each dance number is introduced by a lively pair of emcees, and a full orchestra plays original music composed for the dance. A vibrant backdrop enhances the scene, and musical soloists round out the performance. Shen Yun produces an all-new program every year. — James Fidell, president of ThinkTech Hawaii, Inc.
“Every detail, every note played, every step taken, every costume, every move [is] perfect, excellent,” said Mr. Fidell of the performance. Mr. Fidell has always been impressed by the interaction between the dancers and the backdrop, which serves as an extension of the stage. At times the dancers seem to leap into the background and fly into the air. 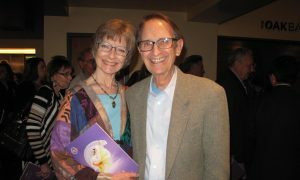 According to the website, Shen Yun’s artists look toward the divine for inspiration, like other great artists in ancient China and the world, throughout history. This spiritual connection motivates them to strive to excel. 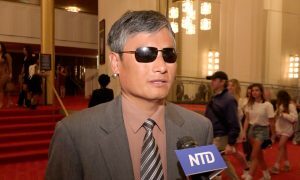 “It is why audiences can feel there is something different about Shen Yun,” states the website. 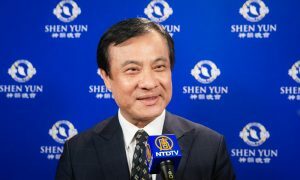 He encouraged others to see Shen Yun Performing Arts. Interior designer Nancy Schnur and her husband Daniel Morris, a scientist for the Navy, were also in the audience of the performance. Mr. Morris was interested to learn about the Chinese culture through the legends and stories told with the dances. 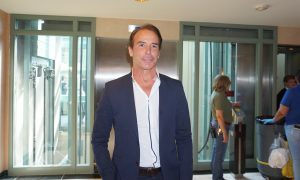 He especially enjoyed an ethnic Tibetan dance performed by the male dancers, which he said was very lively. 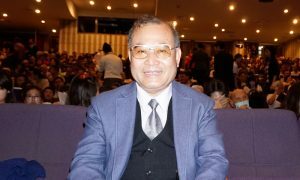 He also appreciated the live orchestra, which includes both Chinese and traditional Western instruments for a unique sound. Mrs. Schnur said she was surprised to learn during the performance that a spiritual mediation practice called Falun Gong was currently being suppressed and persecuted in China. A dance called The Power of Compassion portrays a brutal attack on the peaceful meditators by police, in which a police officer slips and injures his leg. A young man stops to help the police officer and shares with him the principles of Falun Gong, also called Falun Dafa: Truth, Compassion, and Tolerance. The officer then come to regret his actions. “I was glad we got to see it, and I think it’s the best way to share with the rest of the world what’s going on, through dance, the arts,” she said. Mrs. Schnur said she danced a little when she was young, and now her daughter dances at college in New York while studying to be a scientist. She said she would buy her daughter a ticket to see Shen Yun next time it plays in New York. Mr. Morris said he would recommend that others see the performance. “I would simply say it’s an experience that they must experience for themselves,” he said.